Designed to capture the hearts of leaders, trailblazers and trendsetters, the LS is a striking flagship sedan that delivers the pinnacle of elegance and comfort. The Lexus self-charging hybrid electric drive in the LS 500h improves performance, drive-ability and economy, while also reducing emissions, noise, vibration and harshness. The LS 500 offers superior performance and fuel economy, making it a sheer pleasure to drive. The all-new LS has been completely re-imagined, down to the finest detail. A luxury sedan of the highest order, there is nothing else quite like it. A refined platform with a low centre of gravity, the LS builds anticipation of an exhilarating driving experience. The silhouette delivers striking style and strong personality, as befits a flagship sedan. Eight hours a day. Over six months. More than 5,000 individual surfaces, all arranged by hand, and 5,000 individual facets, each precisely calibrated to catch and reflect light. The design process behind the LS Sports Luxury grille would be considered extravagant if the result was anything less than visionary. Goal: to be the most evocative LS ever. Ultra-compact Triple-beam LED projector headlamps cast a striking presence and are the ideal balance of sophistication and safety. The refined interiors are the ultimate expression of Japanese hospitality: comforting seats, welcoming interior lights, and thoughtful ornamentation. The Remote Touch Interface is designed for smartphone-style operation. The cursor can be adjusted to suit individual preferences, while pinch-in, pinch-out functionality enables seamless operation. The advanced Surround Sound System fills the cabin with uniform sound quality. Be enveloped in the natural, realistic sound produced by the 23 speakers that deliver rich, powerful bass and realistic vocals. The LS provides optimal comfort for each passenger, thanks to Infra-red Rays that rapidly detect and respond to body temperature. Comfort is further maintained via the vehicle’s climate control system, which detects sunlight to deliver continuous comfort for every occupant. Some say the true beauty of the LS lies beneath the surface. Explore the enhanced features, and see for yourself how we've taken the flagship sedan to a new level. Two new engines for breathtaking driving: the first ever twin-turbo for pioneering performance, and the Multistage Hybrid system for a more direct, visceral connection between driver and car. From the world's most challenging highway system comes unprecedented levels of safety technology, including the Road Sign Assist⁸ feature, which detects regulatory speed signs and displays them on the head-up display. Look closely inside the car’s cabin for a never-before-seen level of takumi craftsmanship. Here you’ll find exclusive interior ornamentations that welcome drivers and passengers to an exceptional level of comfort. 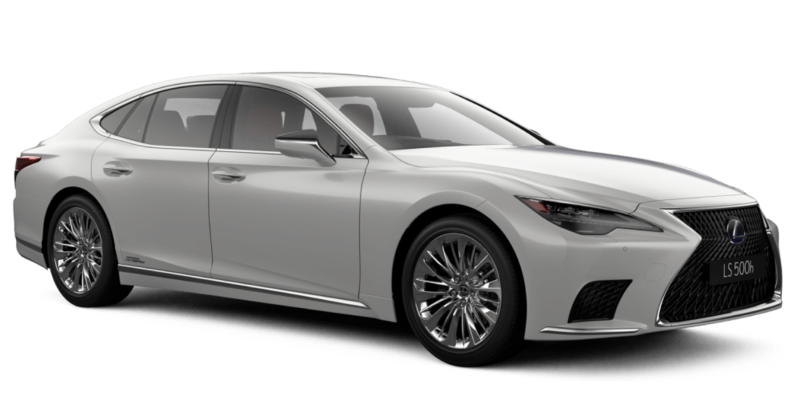 Bringing to life the spindle grille design on the all–new Lexus LS would not have been possible without the human accuracy of an exceptional craftsman, transforming machined output into a work of art.